Okamoto Kitchen is an anime project that recently started a crowdfunding campaign on Kickstarter. The project features a real-life food truck of the same name based in California. The story follows Haru Umesaki and the rest of the Okamoto Kitchen food truck team as they try to navigate the chaotic Los Angeles food truck scene. Haru is a big video game nerd that previously worked at a video game maid cafe. Her life was turned upside-down by an incident known as “Beast Mode” and she somehow found herself working for a food truck in Los Angeles, California. Will these new experiences help Haru find her place in the world? 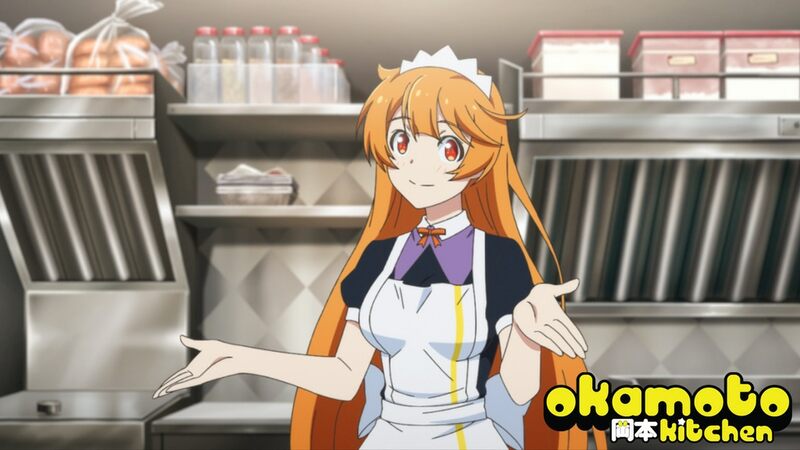 Okamoto Kitchen features the voice talent of Cristina Vee as Haru Umesaki. She has previously voiced roles such as Sakura Matou (Fate/stay night), Noel Vermillion (BlazBlue series), Homura Akemi (Puella Magi Madoka Magica), and Velvet Crowe (Tales of Berseria). Haru was designed by Takuya Saita, who has previously worked on Sailor Moon, One Piece, and Dragon Ball Super: Broly. The story is penned by Mykal Williams and Rafael Hernán Gamboa with music by Layla Lane. You can check out interviews done with the production team below. The team is looking to reach an initial goal of $48,000 with this campaign. 100% of the proceeds will be used to produce 10 comic dub webtoons with a length of about 3-5 minutes each. Why is it called a comic dub instead of a full-on anime? That is because these comic dubs will be limited in terms of animation. Mouth movements, facial expressions, and limb movement will be animated. Scaling, isolated object movement, and panning effects will also be animated. So the final product will be more akin to a moving comic than a full-fledged anime in terms of animation. So what will you get for backing this project? You can check out some of the reward tiers below. $3 – New Customer – Get access to an exclusive wallpaper drawn by Takuya Saito, Haru’s creator. $15 – Regular – High-resolution digital copy of episode 0 and special thanks credit on the Okamoto Kitchen website. Includes previous tier goodies. $30 – Trainee – Choice of an official poster, keychain, or theme song download in addition to previous tier rewards. 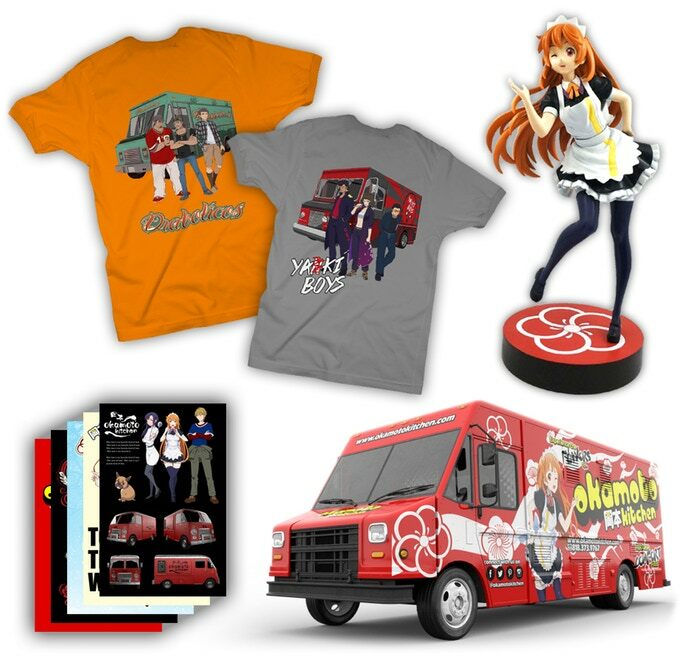 $60 – Dishwasher – An Okamoto Kitchen shirt of your choice and previous reward tiers. $100 – Line Cook – A bunch of keychains, a shirt, coupon for free sandwich at the food truck, and all previous reward tiers. $150 – Cashier – An official Okamoto Kitchen artbook, shoutout in the webtoon/anime, and previous reward tiers. 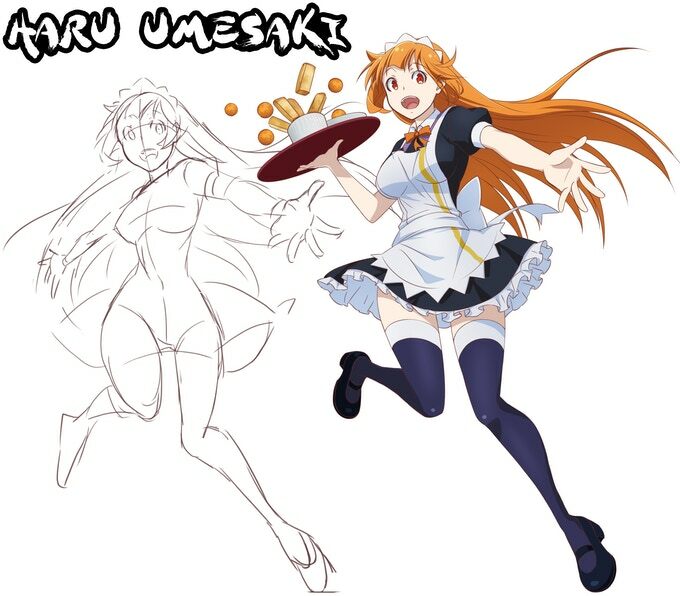 $300 – Sous Chef – Get an official figure of Haru Umesaki and all previous reward tiers. There are many more reward tiers on the Kickstarter campaign page with the highest tier being $9,900. $98,000 – 24 Comic Dub Webtoons – Increases the amount of comic dub episodes from 10 to 24. $149,000 – Extended Length Episodes – Episode length is increased from 3-5 minutes to 8-10 minutes each. $340,000 – 22 minute Fully-animated OVA – The name says it all. If the team reaches this goal, it’ll be able to create a full 22 minute OVA with full animation, in the style of an official anime. If the limited animation of the comic dubs throws you off, this is the goal you would like to help reach. The anime project launched on Kickstarter on January 6, 2019. As of this moment, the campaign has raised $8,399 of their initial goal of $48,000. The campaign is all or nothing and will only be funded if it reaches its goal by March 7, 2019 at 12:28 pm EST. There are 51 days left in the campaign. Will you help the team bring Haru Umesaki’s story to life?